Ooh, that double-fullered dirk got me right in the heart (and left a couple of grooves in my left ventricle). May I ask where you got that? 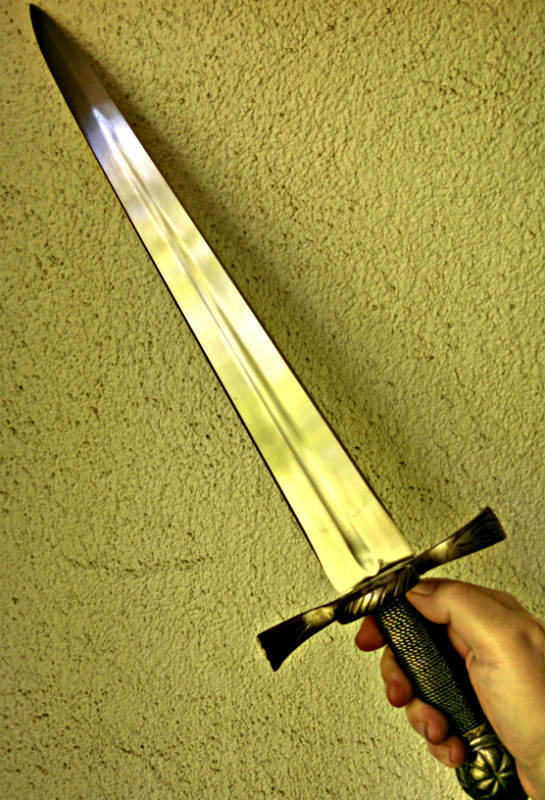 On the topic of daggers, does anyone make a production basilard with a very large blade (like over 18 inches)? If I were to get one made custom I know the historical piece I would pick, but expect it would cost quite a bit; its the size of a shortsword. (And if you look close, it's actually three fullers. 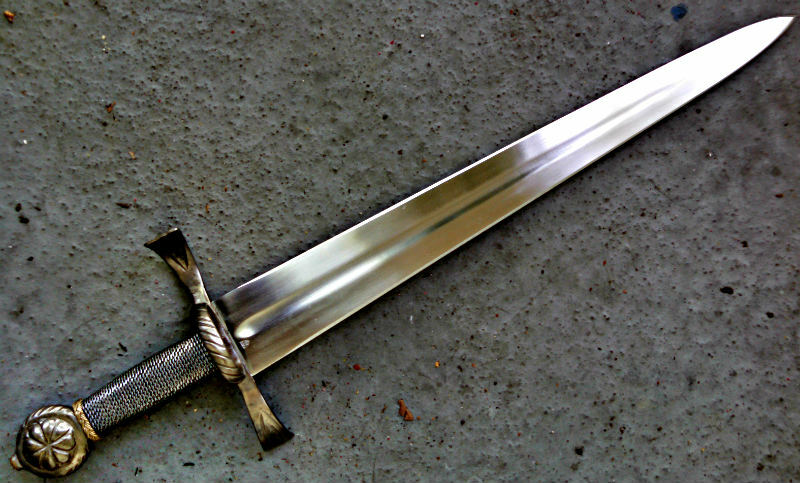 It was made from a cut-down sword blade). 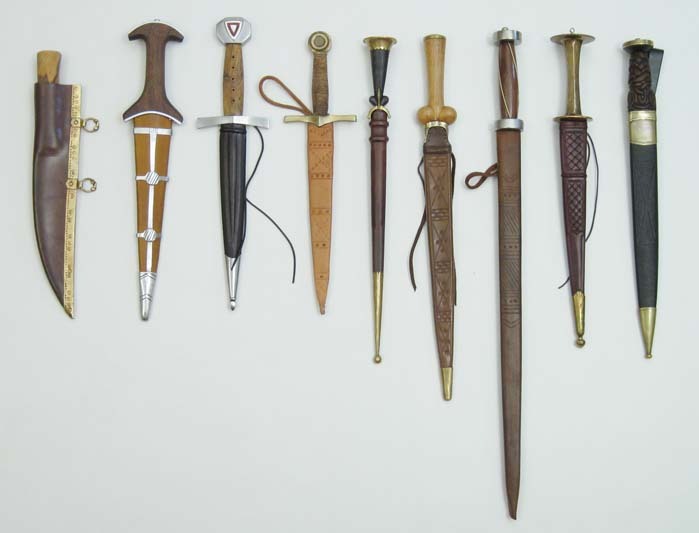 Here's what my dagger collection looks like right now. All are historically sized. 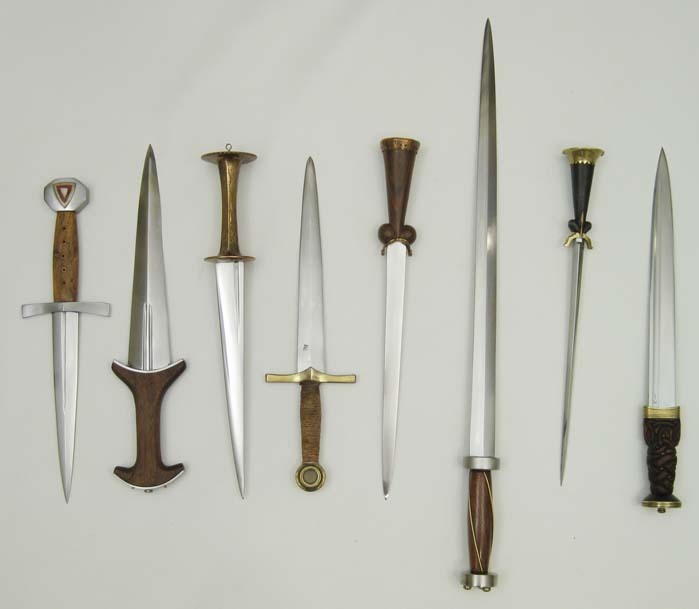 I love the amount of variation in size, shape, and subtlety that period daggers have. I've tried to get a decent cross-section in my collection. Not a very big nor impressive collection, it's only in the last year that I started looking at short stabby things. 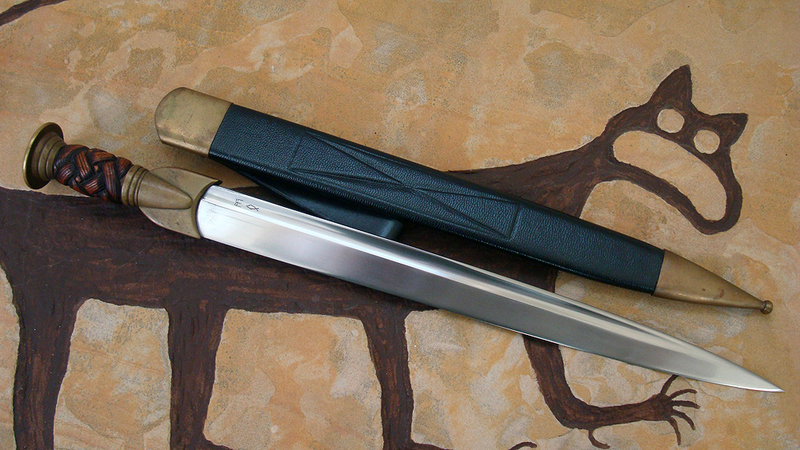 First up, a customized Alpine Dagger from Arms and Armor, slightly shorter blade with a Walrus Ivory handle. 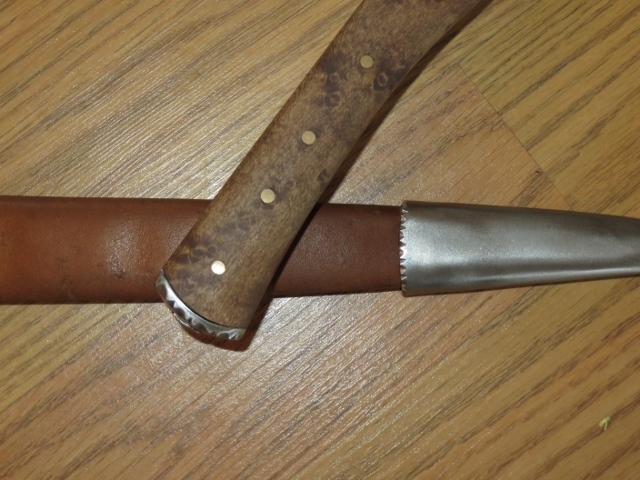 Second, a viking folder inspired knife, carbon steel blade with Kauri Wood handle. 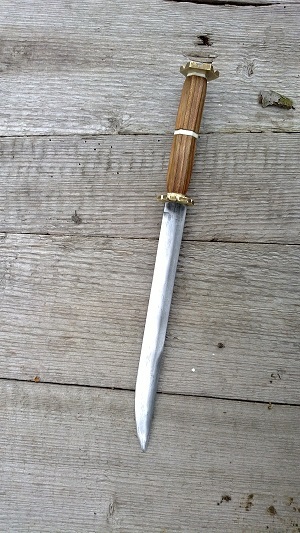 Third, a scottish inspired knife that I had seen a picture of the original somewhere on the forum, and liked the shape. 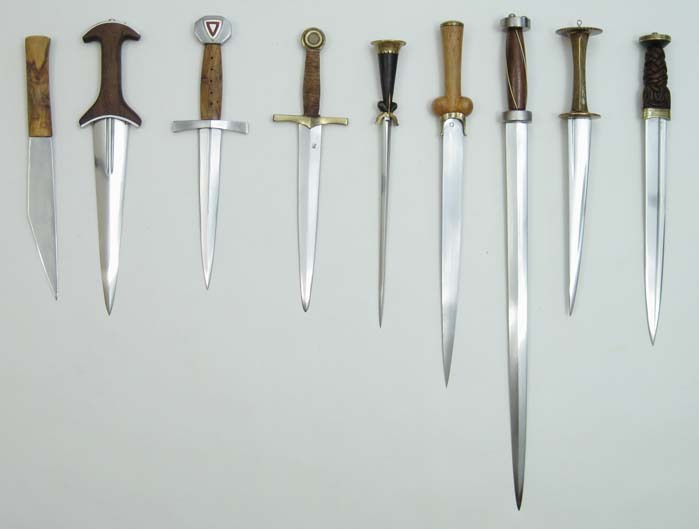 the latest family portrait of my daggers from Tod. The steel rondel is new, the baselard is newish. All others have been around for a while. This really should be a spotlight topic, like some of the other "Show us" threads. 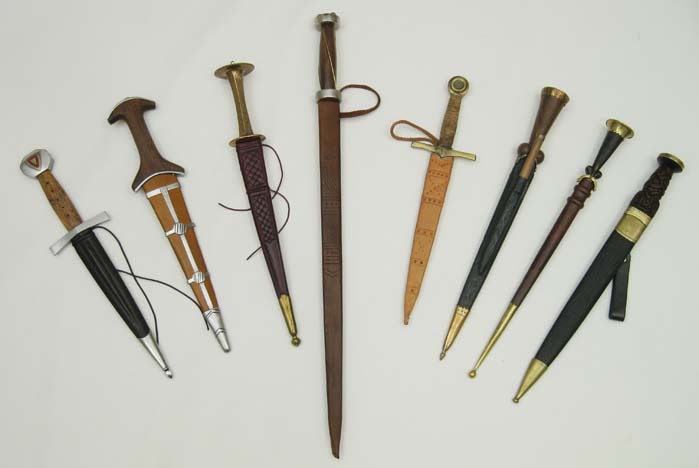 Daggers are great, so much variety, and sometimes more affordable for beginning collectors (I owned a dagger from A&A long before I was able to get one or two of the swords I drooled over). Anyhow, I hope to contribute some good pics in addition to the great examples above! I really like the "family" style of pics. Here is a Bauernwehr I just received from A&A. Does it qualify as a dagger? 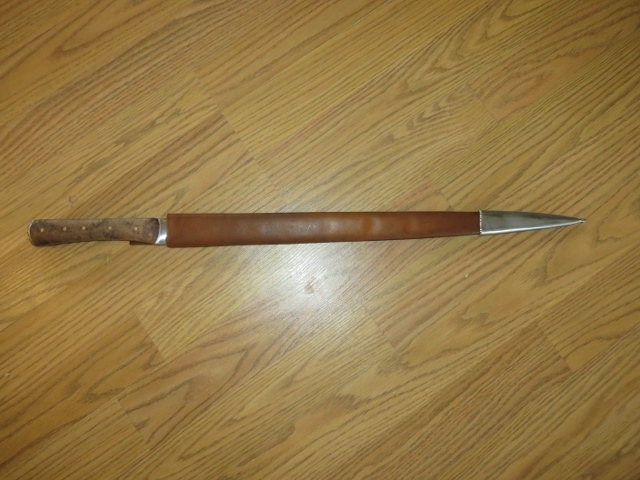 Well here it is, 15 in blade, about 5 in handle. This was a Muster Page item that really resonated. I asked Craig for a sheath with a simple chape to go along, and when I got it, I really appreciated the matching bezels they put on it with the pommel. That's the sort of thing that I can just trust them to throw in and give me something cool that I did not know exactly what to ask for. Maybe someday I will be brave and either do some tooling on the sheath or more likely have someone good at it do for me! In hand, where it belongs. Matching Bezels on pommel and chape top. Group shot from pi day, 2015. In edhil, hai edhil. In edain, hai edain. Nice stuff, most of my daggers are along the line of Randall and Cold Steel but here is a shard of an 18th century smallsword. 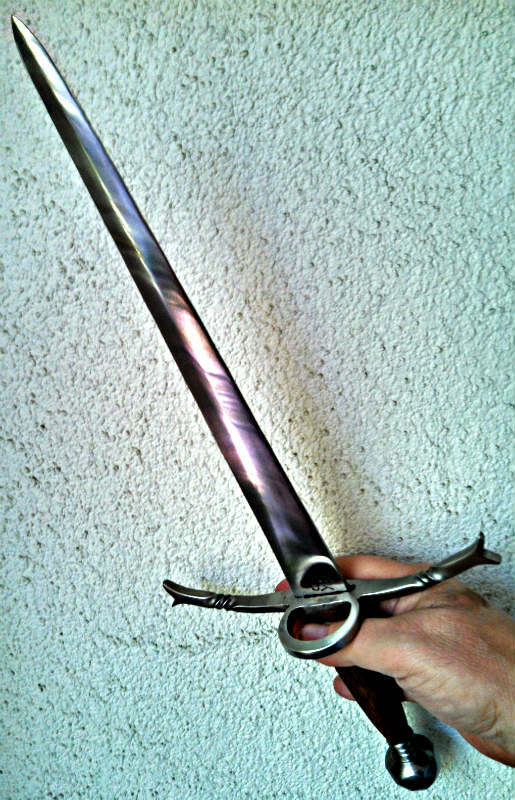 folded steel blade from the Alsace area. It came attached to various fittings . It pairs well with rapiers. 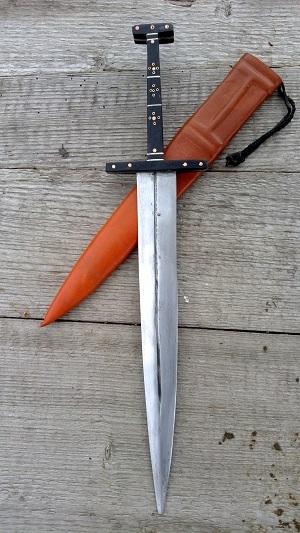 Custom late 14th century quillon dagger by Tod. I hadn't realized how massive this dagger was going to be until it arrived, and Tod had actually made it slightly shorter than the original it was based upon. 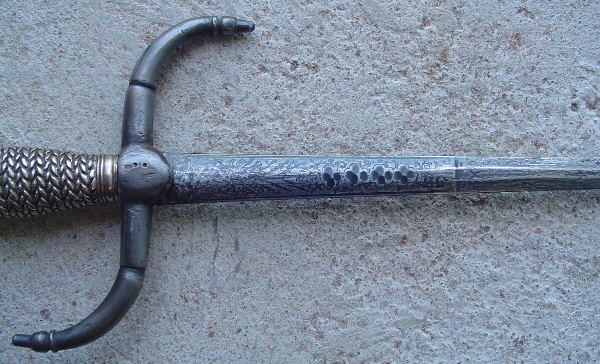 The blade length is similar to some of the large battlefield rondels that have survived. I should note that all of these photos are Tod's, not mine. 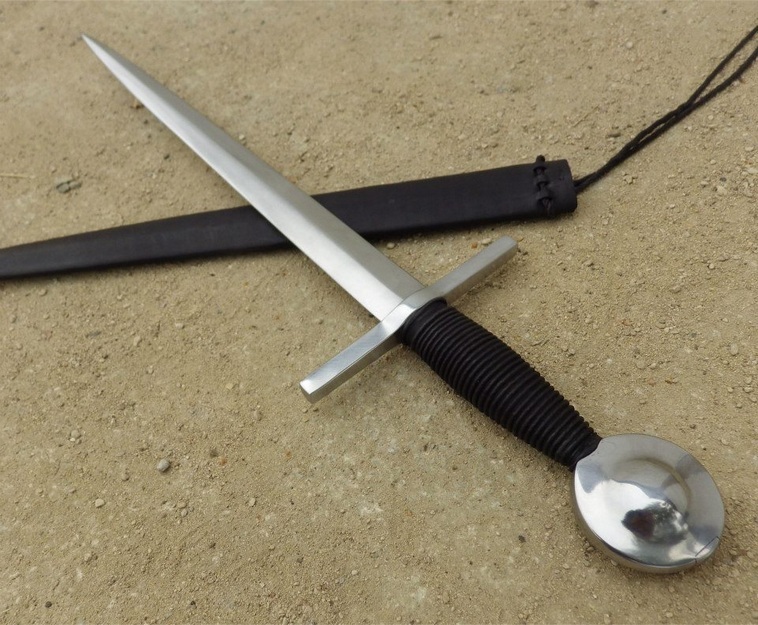 Ballock dagger by John Gage. 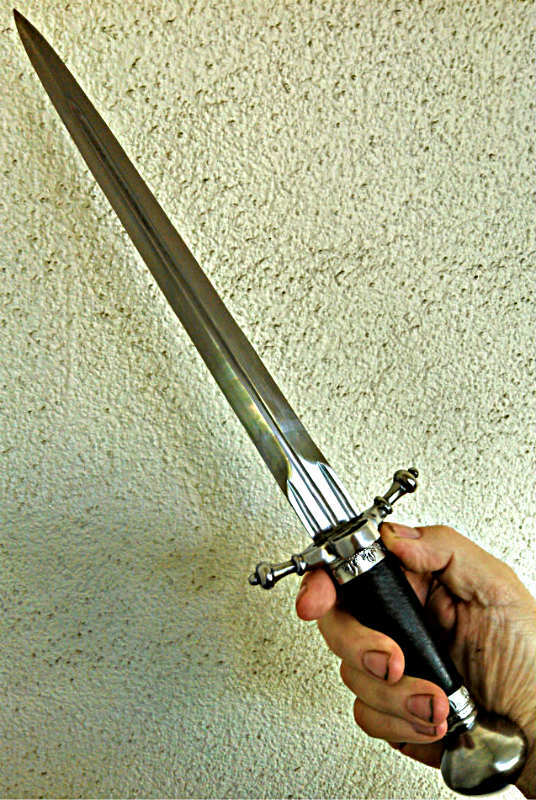 Can you provide some dimensions and weight for the Dagger? According to Tod's facebook page this Dagger is based on one sold by Hermann's Historica Auction House. 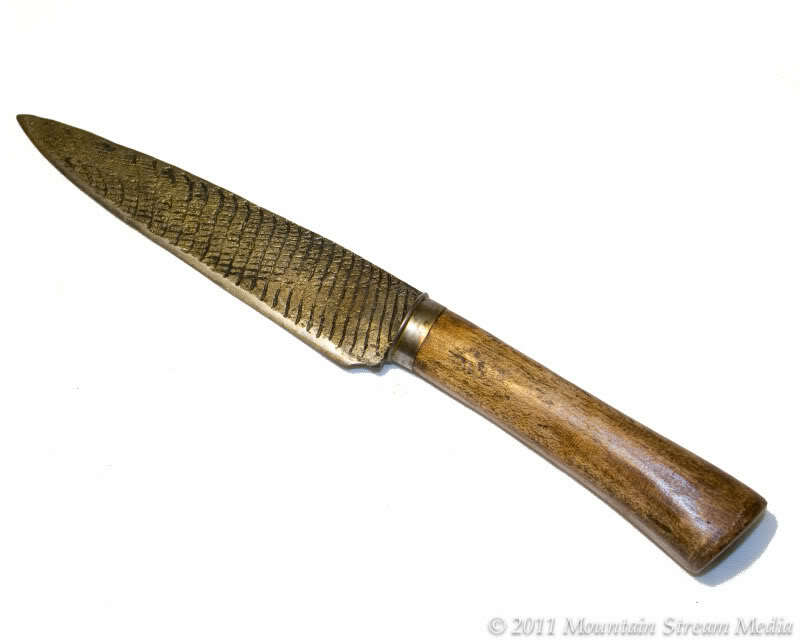 I believe the Dagger in question was part of "Auction 68 - Lot Nr. 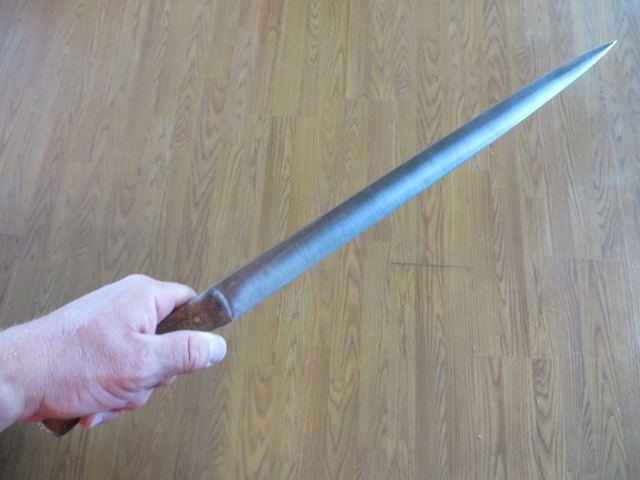 3637"
Slender blade of diamond section. Sturdy, straight quillons, slightly tapered tang. 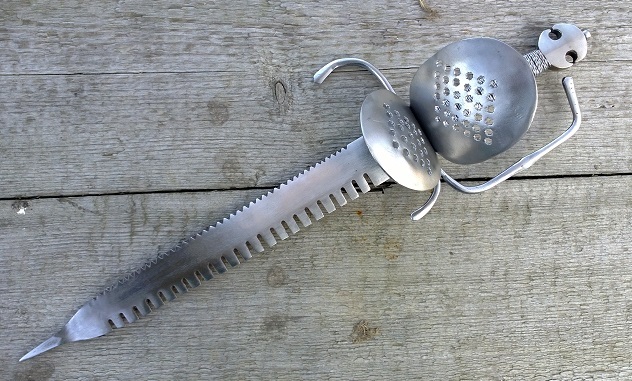 Large, flat disc pommel, the rivet head with elongated, octagonal washer. Length 56 cm." 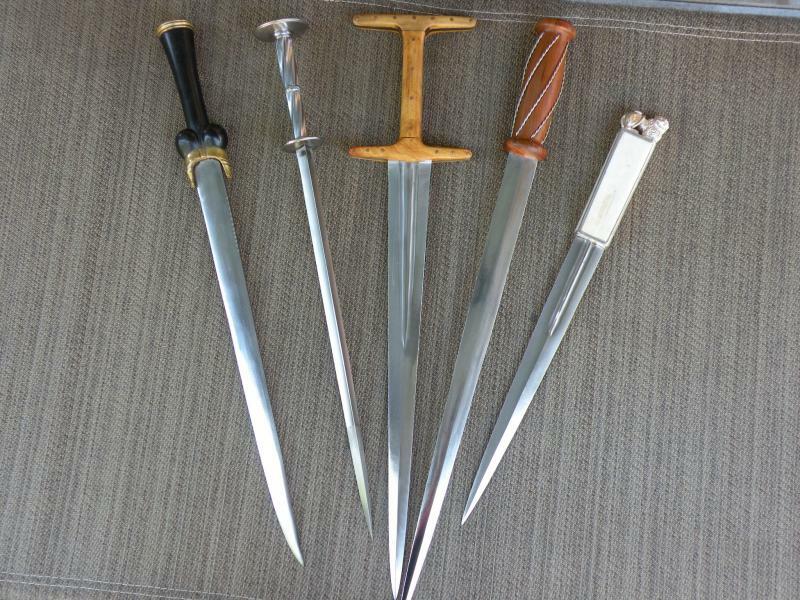 Here are some pics of the original dagger. 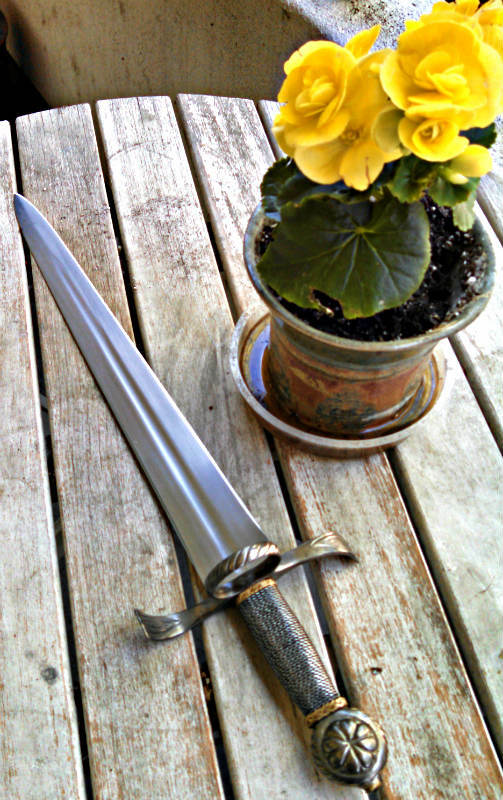 That's the one that was the basis for my dagger. Unfortunately, I cannot give you the weight, but I can provide the other specs for Tod's reproduction (with Tod's blessing). you own one heck of a great dagger ! I've got Manigandr, a Jake Powning piece. 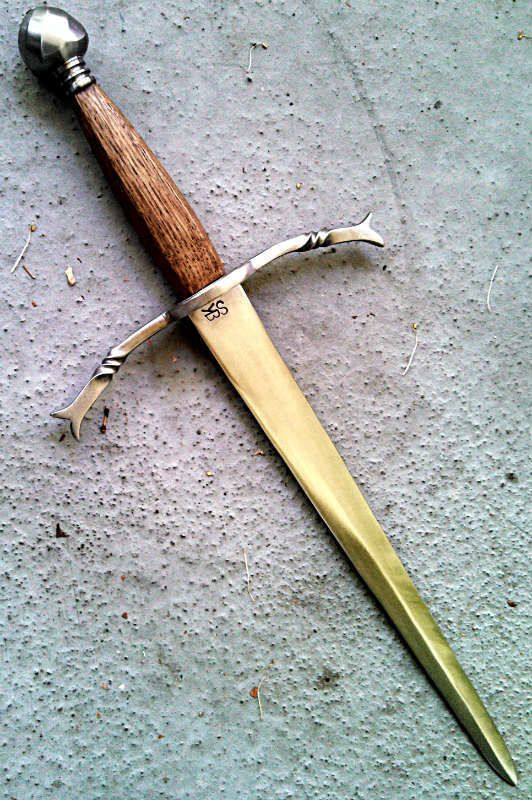 I only need this one dagger for my entire life.